and I very much appreciate Dr. Liftin's saying so. As a teacher of preaching, I too have grown more than a bit weary and wary of St. Francis' popular pearl of wisdom. 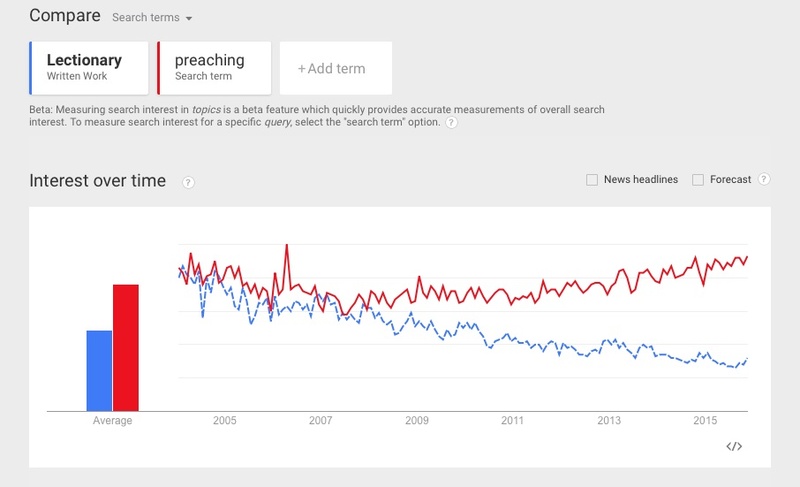 Long ago, P. T. Forsyth reminded us that "preaching is not ethic." Actions may often speak louder than words, but actions are not substitute for preaching the name of Jesus. Only words can do that. Those who saw this earlier post on the University of Dubuque's star football prospect, Michael Zweifel, will be interested in this. #13 on Amazon's list of "Hot New Releases in Christian Ministry"
Hard to say how these lists get produced, but as of 10:00AM, May 30, 2012, Year D was officially "hot," or at least 13th hottest! For the benefit of our international visitors, my publisher informs me that Kindle and print editions for both Year D and Groans of the Spirit are now available from Amazon's sites in the UK, Germany, France, Italy, and Spain. "All I can say is Hurray!" Many thanks to the Rev. David Corder for his cordial thumbs up at his blog, The Outward Quest. 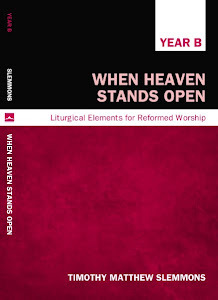 Late last year, Cascade Books, the imprint of Wipf & Stock that has just published Year D: A Quadrennial Supplement ..., picked up my four volume series, Liturgical Elements for Reformed Worship (Years A—D). The volumes for Years B and D were each sent in to the publisher (January 2012), and should be available by year's end (I know, bad timing on Year B, but it was complete and ready to go). Hopefully, Year C will be done before that cycle completes, and Year A soon after that. Meanwhile, see Trinity Sunday (Year B), June 3, 2012, for a sampling of the forthcoming volume of LERW. I hope you find it useful. ... of Instapundit, "Blogfather" of the internet, for this "In the Mail" plug! This plug was on the top of his stack when I arrived home from church this Pentecost Sunday. Happy Pentecost, Professor Reynolds! Just thought I would mention a number of new links at left. I'll add more as time allows. Have fun exploring. Wrongheaded as Richard Dawkins' motives are in supporting the distribution of the Bible in all British public schools, I wholeheartedly agree it should be done, not just in the UK, but here in the US. It's a wager that, as scripture well attests (1Kings 18), God is more than willing to make. 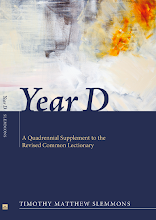 Do you have a recent theological book you would like reviewed at The Year D Project? Review copies may be sent to ATTN: T. M. Slemmons, 2000 University Avenue, Dubuque, IA 52001. Year D is now available! At long last, Year D: A Quadrennial Supplement to the Revised Common Lectionary, is finally in print (released May 11, 2012)! Kindle edition is also available at Amazon. Between our residential students and our first class of "distance ed" students, this will be a big class. The distance cohort, by the way, has been at this for five years. Yours truly will MC the senior banquet. (Don't worry, Billy Crystal. Your job is safe.) We will also welcome President Barbara Wheeler of Auburn Seminary to deliver the commencement address. Meanwhile, note in this article by Glenn Reynolds discussing the trend toward online education that the likes of MIT and Harvard are just getting started. Meanwhile, Lunn breathes life, hope, expectation, and nostalgia into the popular soap opera — I do hate to call it that, but we must be honest with ourselves, mustn't we? And what a soap opera it is! — Downton Abbey. Gorgeous! For several years now, one of Dubuque Seminary's most popular and important elective courses has been Gary Neal Hansen's course on prayer. Now, finally, his long-awaited work on prayer, Kneeling with Giants: Learning to Pray with History's Best Teachers, is in the pipeline. Due out in 2012, this one is bound to be a classic of Christian devotion. Well done, Gary!